JASON ANDREW (Founder / Partner) is an independent scholar, curator, and producer. Specializing in the field of Post War American Art, Mr. Andrew is the Curator/Manager of the Estate of Abstract Expressionist Jack Tworkov. Since this appointment in 2002, he has organized countless exhibitions and lectured extensively on the artist and his contemporaries including organizing the first retrospective of the artist’s work in New York City at the UBS Art Gallery in 2009. Mr. Andrew has published extensively on the artist and his contemporaries and is currently editing the catalogue raisonné of works by Jack Tworkov. In 2016, Andrew was made Head of the Estate of Elizabeth Murray. A prominent figure in the Brooklyn art scene since for nearly two decades, Mr. Andrew was featured in Brooklyn Magazine’s Top 100 Most Influential People in Brooklyn Culture (2014). His curatorial projects got him voted “Best Exhibitionist” by the Village Voice (2011), and his promotion of the cross disciplinary arts got him listed in L Magazine’s Who Made the New Brooklyn (2011). He has curated and organized historic retrospectives of the work of Jack Tworkov (1900-1982), Elizabeth Murray (1940-2007), Edith Schloss (1919-2011), and Gerald van de Wiele (b.1932) among others. These and others have been critically reviewed by Artforum, Art in America, Art News, Hyperallergic and The New York Times to name a few. In 2004, Mr. Andrew along with choreographer Julia K. Gleich co-founded Norte Maar, a non-profit with a mission to encourage, promote and present collaborative projects in the arts. Guarding against special interests in any particular style or genre, his curatorial projects bridge gaps left in art history and reflect the creative imagination through paintings, poetry, and performance. Mr. Andrew is a patron of young artists and consultant to collectors. He frequently lectures on the creative imagination and its relationship to collaboration within the various disciplines of art. Mr. Andrew and Ms. Gleich are co-editors of the forthcoming book Living and Sustaining a Creative Life: Dance (Intellect Publishing, Bristol, UK). Mr. Andrew currently lives in Cypress Hills, Brooklyn. JULIA K GLEICH (Founding Partner) is a choreographer, teacher, scholar and mathematics aficionado with an MA from the Bolz Center for Arts Administration at the University of Wisconsin-Madison. In 2004, Ms. Gleich, in partnership with Jason Andrew, founded Norte Maar for Collaborative Projects in the Arts with a mission to renew and refresh the exchange within the interdisciplinary arts. Following on from this success, she has joined forces with Jason to become a partner in Artist Estate Studio, LLC. 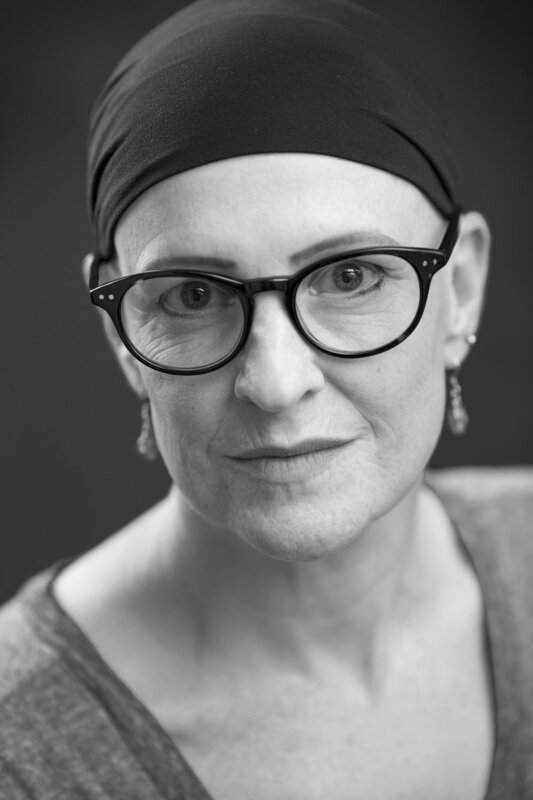 Ms. Gleich, who also has an MFA from the University of Utah, is the founder and Artistic Director of Gleich Dances which has received critical notice in The New York Times, DanceInforma, DanceInsider, Village Voice, The New Criterion, The Brooklyn Rail, among others. In addition to her choreographic work, Ms. Gleich’s practiced-based research been published in The Oxford Handbook of Contemporary Ballet (Oxford University Press), DanceUK, The Dynamic Body in Space (Dancebooks, Ltd), and Ballet Review to name a few. Ms. Gleich and Mr. Andrew are co-editors of the forthcoming book Living and Sustaining a Creative Life: Dance (Intellect Publishing, Bristol, UK). Ms. Gleich currently divides her time between London and New York. URSULA DAVILA-VILLA (Legacy Specialist) is an independent art historian and advisor working with artists and their families on legacy planning and management. She co-manages the Kurt Kocherscheidt Estate, and has worked on an advisory role with artists such as Luis Camnitzer, Lorraine O’Grady, Carolee Schneemann, Elfie Semotan, and the Estate of Serge Spitzer. From 2012 to 2017 she was a Partner at Alexander Gray Associates where she managed the artistic and operational areas of the gallery including: strategic business development, artists liaison and career development, legacy planning, exhibitions, publications, institutional acquisitions, curatorial and research projects, budgets, human resources, and supervision of all staff members. She was Associate Curator of Latin American Art at The Blanton Museum of Art at The University of Texas at Austin from 2005 to 2012, where she directed and supervised exhibitions, permanent collection, acquisitions, publications, ongoing research, and established the first international artist-in-residence program. In addition, she curated several exhibitions at the museum, among them The New York Graphic Workshop 1964–1970: Luis Camnitzer, Liliana Porter y José Guillermo Castillo, Eclipses for Austin a project by Pablo Vargas Lugo, Recovering Beauty: The 1990s in Buenos Aires, The Nearest Air: A Survey of Works by Waltercio Caldas, among others. In 2012 she was co-curator of El Panal/The Hive: Thrid Poli/Gráfica Triennal of San Juan de Puerto Rico. In 2008 she curated a mid-career survey of Mexican artist Yoshua Okon at the Städtische Kunsthalle Munich, Germany. Previously, she worked as project and archival researcher for artist Cai Guo-Qiang at Cai Studio, as public programs assistant at the Guggenheim Museum, as curatorial assistant at Art in General (all in New York), and Manager of International Art Fairs at Galería OMR (in Mexico City). She completed her M.A. in Museum Studies at New York University in 2005, and holds a BA in architecture and urbanism from the Instituto Tecnologico y de Estudios Superiores de Monterrey, Mexico, Université Laval, Quebec, Canada, and the Technische Universiteit Delft, Netherlands. She has lectured and published internationally on contemporary art and museum studies. She lives in Brooklyn, New York. PETER J FREEBY (Design Director) designs books and periodicals including academic publications that have been with award winning journalists from ProPublica, The Wall Street Journal, New Yorker, American Public Media. He creates websites and digital development for a range of artists, non profits and educational programs including Diane Von Furstenberg, Jordan Eagles, The Generations Project, Mu Theater, The Koch Institute, The McCandlish Phillips Journalism Institute, and the Dow Jones News Fund. VARVARA MIKUSHKINA (Image Archivist) is a New York based artist. Originally from Russia, she is currently freelancing as a Retoucher and Archivist. Her personal photographic work revolves around the romanticization of light and the decontextualization of experiencing illuminated moments. These moments are seen in mysterious settings or makeshift studios that construct an ancillary aesthetic around light. She received her BFA in Fine Art Photography from Syracuse University and an MFA in Photography from Parsons The New School for Design. Mikushkina has exhibited at institutions such as the Hermitage Museum of Art, Russia; Everson Museum of Art, NY; Aperture Foundation, NY and Center for Photography at Woodstock, NY. The contents of this site, including all images and text remain the sole property of Artist Estate Studios, LLC, the various artists and their respective estates. The contents of this site may not be reproduced in any form without the written request and permission. Reproduction rights for all possible uses by third parties must be cleared in writing with Artist Estate Studios, LLC.